The process of cleaning the rocket’s fairing started in earnest yesterday. 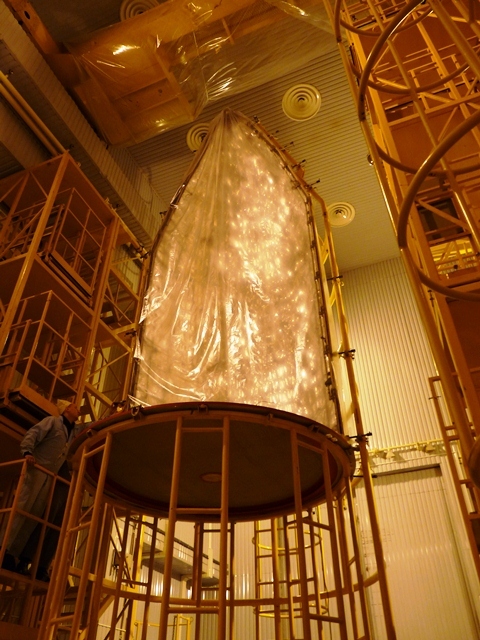 The fairing is the nose cone that encapsulates the three Swarm satellites during the launch. Once outside Earth’s atmosphere the fairing is jettisoned. Specialists cleaned the internal insulation layer of the fairing with isopropyl alcohol and then covered it with polythene to prevent any contamination. Today, the second half is being cleaned using the same procedure and will be covered and stored. 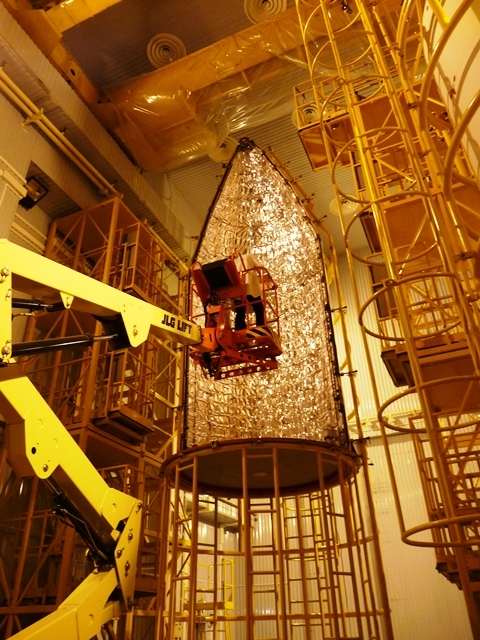 Both halves will be kept in the cleanroom 101B until the satellites are encapsulated eight days before launch. Everything is progressing on schedule. Swarm FM1 and FM2 have had their batteries fully charged. 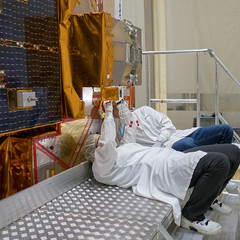 Also the inspection of each satellite’s boom hinge is being carried out. The boom, which accounts for almost half the length of the satellite is folded up for launch – and is deployed soon after injection into orbit. One of the completed tasks is the functional test of the six micro switches (two on each satellite), which will confirm that the boom has deployed successfully. The satellites continue to be vented with dry nitrogen around the electrical field instrument to keep them dry. On Sunday, we had a break from work and Plesetsk. Eurockot had organised a full team day trip to the town of Kargopol, which is 178 km south of Plesetsk and roughly three hours on the little busses. The icy wind and rain did not deter us visiting the lovely churches and climbing the bell tower to enjoy the views. A traditional lunch and a few rounds of vodka warmed us all up for the afternoon visits. We visited the local wood craftsman’s studio and the working museum for clay toys. 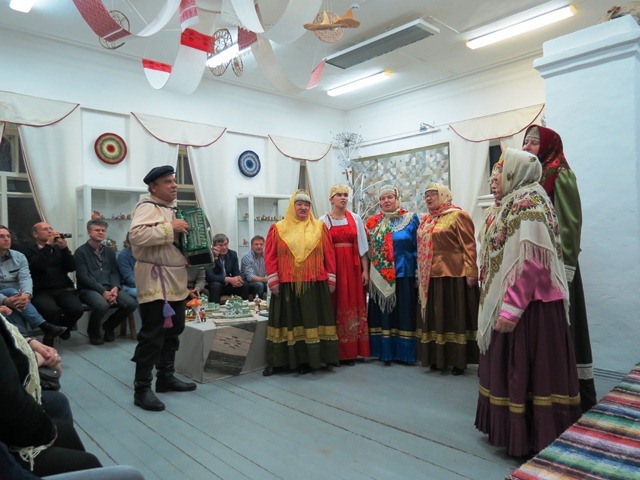 After that we stopped for afternoon tea and blinis with local berries and were entertained by the Kargopol ladies singing.